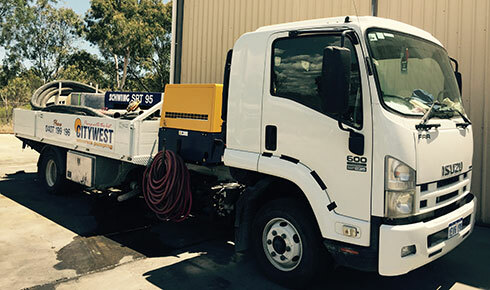 Our fleet of 9 (and expanding) truck mounted mobile concrete pumps are all late model state of the art equipment specially engineered for high and trickle speed placement capabilities. 3 x 47.5m Putzmiester Booms in the fleet! With long reach and smart design, these German manufactured machines have a range of innovative features that let you complete your job faster with superior results. Its Ergonic Boom Control (EBC) System allows for smooth and precise boom positioning at greater distances while reducing boom bounce. Lightweight in design without comprising Putzmiester’s high output hydraulic free flow pumping system, these machines have 30% more deck space allowing you to carry more equipment to the job. The low unfolding height of the boom combined with its lightweight design, makes it manoeuvrable and efficient under almost any condition. This model also comes standard with Ergonic Boom Control (EBC) for smooth pumping and consistent concrete flow and Putzmiester’s One Side Support (OSS) system as standard. 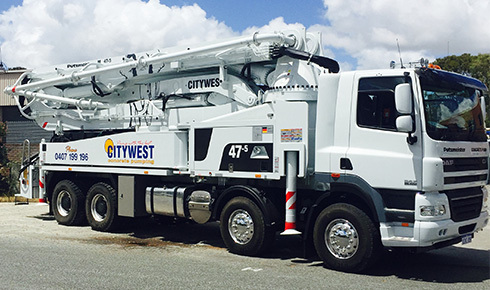 Australia’s biggest boom on a 3 axle truck! 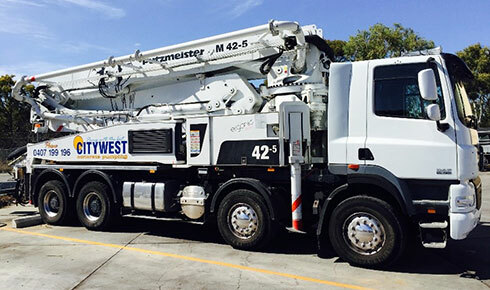 Mounted on a three-axle, short-wheelbase truck, the S36X is the largest boom available in Australia on a single steer cab chassis giving you the versatility to set up closer to the pour area than most 40+ metre booms. 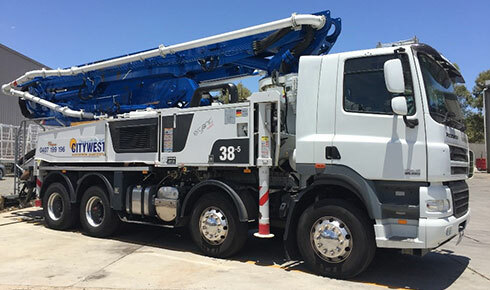 With the combination of front X and rear H outriggers, the S 36 X can set up without the space hogging footprints of other outrigging systems making it the ideal boom pump for big or small jobs. The perfect in and out pump! Its extremely compact footprint gives you the ability to be set up easily on congested sites and cover multiple pours per day. Its RZ folding system provides a low unfolding height of just 5.85m making it ideal not only for normal construction sites but also inside enclosed structures such as factories and tunnels. 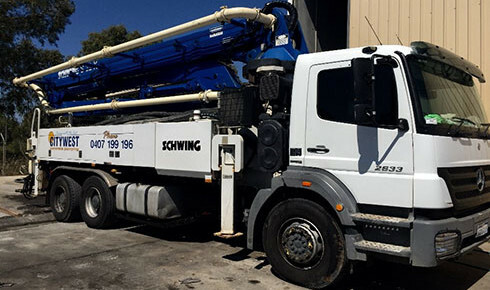 It’s is equipped with the ever dependable Schwing Big Rock concrete valve system for handling the harshest concrete mixes. 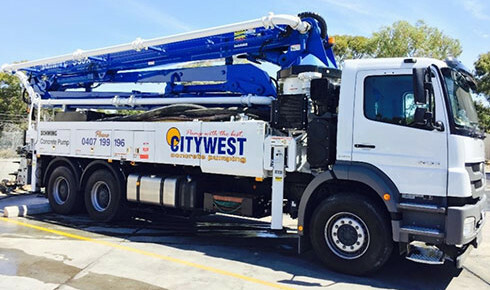 Heavy duty and versatile, this machine has the capacity to handle the big jobs but also cover multiple pours per day with its fast set up time. These versatile line pumps are ideal for situations where a boom pump would not fit or reach. It can be set up virtually anywhere and produces very little wastage at the conclusion of your pour. This pump is also fitted with an on board air compressor for shotcrete application.